Low profile design is just 1/2" high. Double ring of ball bearings provides extra support and smooth turning. Transparent plastic makes base nearly invisible. 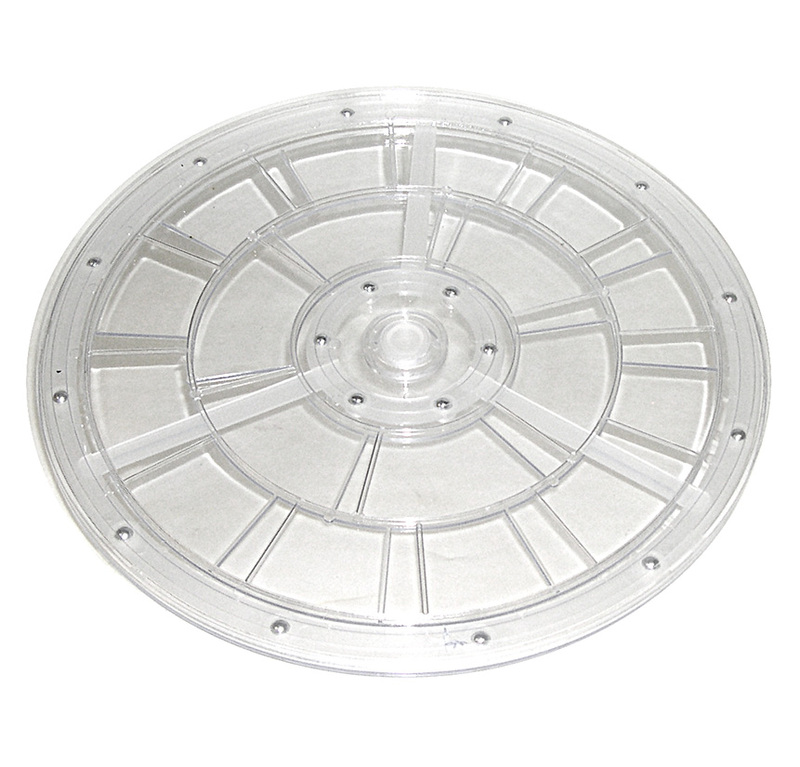 Clear Plastic Rotating Display Base -12"